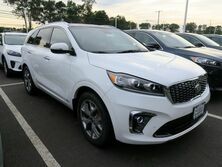 The enhanced 2019 Kia Sorento will blow you away. Now standard with 3 rows of seating, your family and friends can go where you go in style. 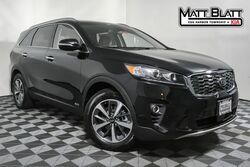 The Sorento is a Top Safety Pick+ and 2 year Highest Ranked Midsized SUV in Initial Quality. 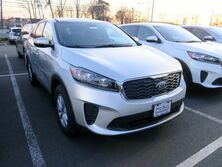 With 4 trim levels, new standard features, and better mileage, the Kia Sorento has the price options to fit your budget and lifestyle. 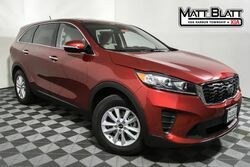 Choose from the 2019 Kia Sorento L, LX, EX, or SX with Matt Blatt. 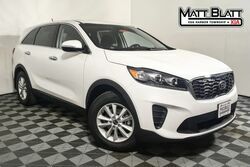 Coming standard on all trim levels, the 2019 Sorento seats 7 people while staying affordable and comfortable. Comparing price to other vehicles in its class, you get the best value for your dollar while maintaining space. 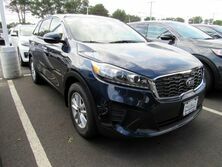 The Kia Sorento’s cargo space is 11.3 cubic feet with 7 passengers but 38 cubic feet with the Sorento’s 3rd row folded down, and 73 cubic feet with the 2nd and 3rd rows down. This leaves plenty of room for more than people. Don’t be fooled by the affordability of this SUV. 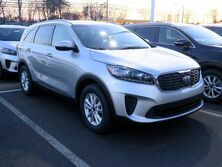 The Kia Sorento’s quiet interior remains sleek and stylish with new user-friendly standard tech and driver assistance features. 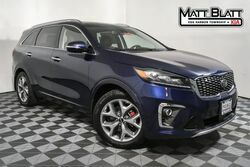 If you would like to learn more about the 2019 Kia Sorento, check out our online inventory and schedule a test drive with us at Matt Blatt Kia of Toms River. Want to streamline the car buying process? Get Pre-Approved or Buy Your Car Online!